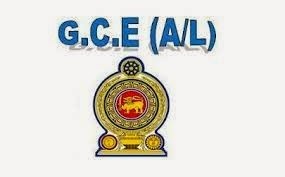 Department of Examinations, Sri Lanka invites applications for the 2015 General Certificate of Education Advanced Level examination which is plan to held on 2015 August. for those who plan to apply as private candidates can receive applications from 06.02.2015 to 06.03.2015. 06.02.2015 to 06.03.2015. Candidates are advised to read this application and given guidance very carefully and follow the instructions given before filling up the application forms and also to make sure to select exactly the correct Town Number and Subject Numbers. Candidates are allowed to offer a maximum of three main subjects for 2015 General Certificate of Education Advanced Level examination.